Many Americans remember those stations that programmed beautiful music for many years. WDVR101FM...WWSH...WPBS in Philadelphia, WBAL...WRBS...WLYF in Baltimore, WJBR...WTUX in Wilmington, Delaware, WQMR...WGAY in Washington DC, WJIB in Boston, KBMS in Pasadena-Los Angeles, WPAT in New Jersey, WRFM in New York City, and way over to KUMU in Honolulu as well as hundreds of stations all over the USA. Now we invite you to tune in here to this blend of easy listening quality music. In the early 1960s, the Federal Communications Commission adopted a standard for transmitting and receiving stereo signals on a single channel of the FM band. In addition to delivering stereo sound, FM broadcasting provided clearer sound quality and better resistance to interference than AM, thus being ideal for broadcasting the beautiful music format. 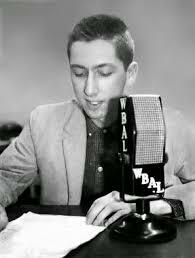 In Baltimore, Maryland, programmer Art Wander developed a beautiful music format for the 50,000 watt NBC affiliate WBAL/1090. The station format launched in the fall of 1960 featured music sweeps of lush instrumentals with subtle comments from their staff announcers. The format changed to sports and talk when competing FM stations broadcast beautiful music and easy listening. In 1963, Marlin Taylor created a custom-designed beautiful music format at Philadelphia's WDVR. Within four months, WDVR became the #1 rated FM station in the Philadelphia market. This was one of the first big successes in FM broadcasting, and was instrumental in establishing the viability of FM.Our tribute to those that pioneered the format such as Marlin R Taylor, Art Wander, Ed Winton, Bob Chandler, Dave Shayer, Rich Franklin, John Weiser, Colin Sharp, George Rudolph, Ed Hunt and John B Reynolds, Jr...among many others.